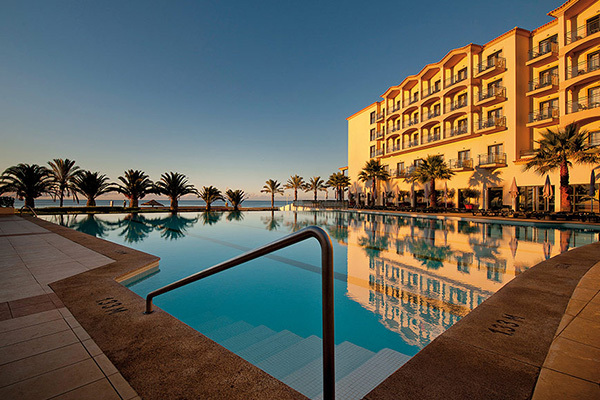 The Vila Galé Santa Cruz hotel, in Madeira, offers an incomparable view of the Atlantic Ocean, along with the town’s picturesque atmosphere. 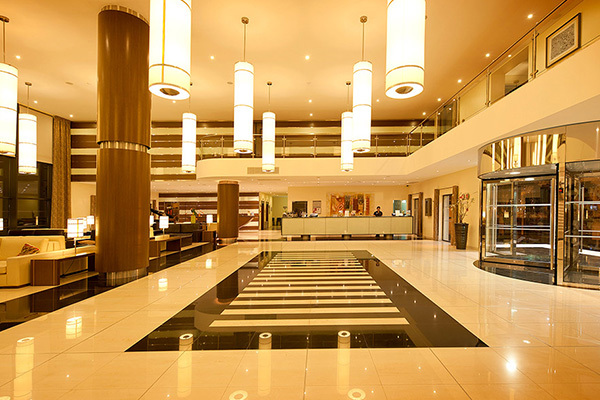 This hotel in Madeira, only five minutes away from the airport, has 262 warm and sophisticated rooms. It also features two restaurants, two bars, an outdoor pool and spa with heated indoor pool, sauna, Turkish bath, gym and massage rooms. 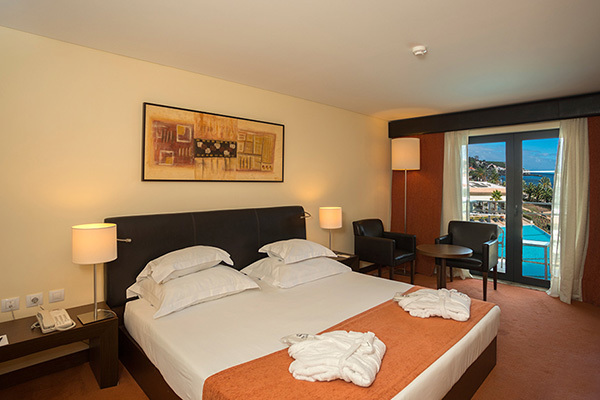 Also, keep in mind that the Vila Galé Santa Cruz hotel also provides free transportation to Funchal, a city full of shops and historic nooks. In the city, you’ll be able to photograph postcard-worthy moments. On the Farmers' Market (Mercado dos Lavradores), it’s the florists wearing their traditional costumes, surrounded by orchids and other plants, that give a special variety of colors and aroma to it. Strolling along the corridors, let the fruit vendors convince you and savor here and there the many varieties of Madeira fruits and other delicacies likeponcha (traditional alcoholic drink) or the flat breadbolo do caco. At the end of your visit, we challenge you to remember the number of passion fruit varieties you have tasted. 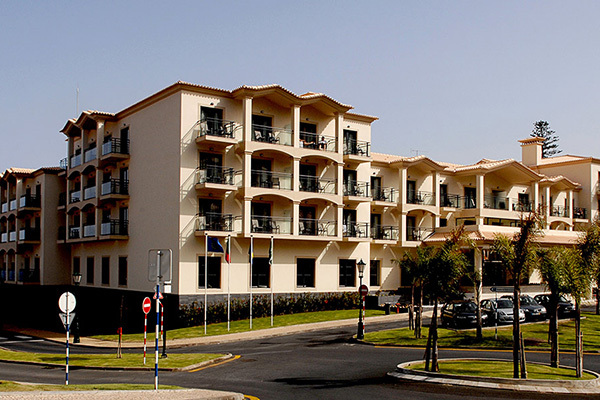 The Vila Galé Santa Cruz hotel has a total of 262 bedrooms. 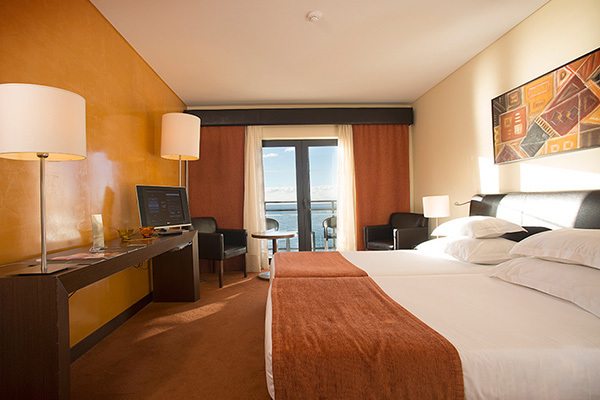 Among them, we highlight four junior suites that are suitable for families. Four rooms are adapted for people with reduced mobility. This is the pool bar and it serves beverages and snacks during the summer.